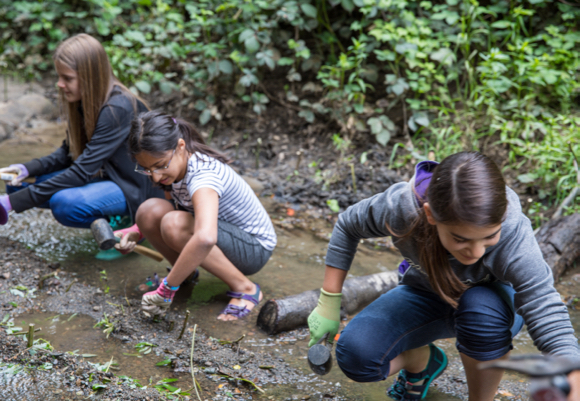 Hillview Middle School’s Environmental Club was out in force last month bioengineering the banks of San Francisquito Creek, building structures out of natural materials. They used willow tree stakes to stabilize the Creek banks. Willows grow well in creeks, making them the perfect plant to prevent erosion. They are also an important food source for many wildlife species. 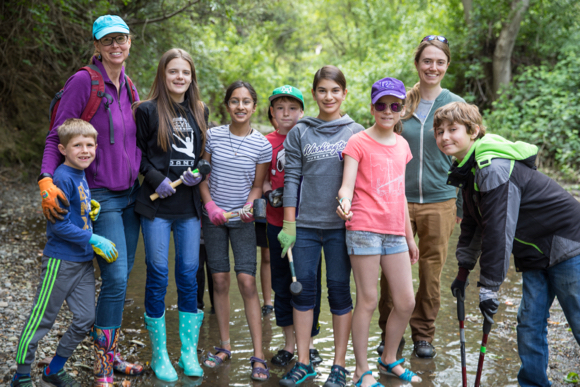 The creek project was organized by Hillview teacher Julie Hilborn (left, purple hoodie) with support from Grassroots Ecology’s Erin Banks Rusby (right, green hoodie) and parent volunteers.